Olive oil has long been a favorite in its origin near the Mediterranean. Its history dated back to thousands of years ago when people knew how to extract oil from the olive trees. Nowadays, the oil is not only consumed in the Mediterranean countries. The love for olive oil has been spread to the every corner of the world. It is hard not to love this type of oil. Its taste is delightful. It is beneficial for our health by protecting us from diseases of the heart. It is even used as a beauty product! Together with the worldwide demand for olive oil, the supply for it varies and there are too many types of olive oil out there in the market. Stepping into the oil section of any local supermarket, you may face with various brands of olive oil. So how to choose the right olive oil for you? In this article, we will give you some guidance on how to do this. 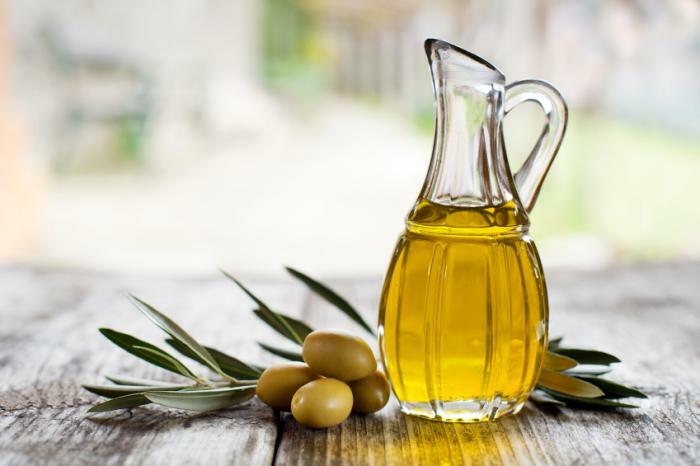 – Extra virgin olive oil (some brands will simply refer to it as EVOO): Extra virgin olive oil is the oil that comes from the first time the olives are pressed. This type of olive oil does not contain any more than 0, 8% acidity. It is considered to be the best olive oil in term of quality and taste. Real extra virgin olive oil cannot contain any refined oil. It is always chosen as the top in all types of olive oils. It is very good for health as well. When it comes to beauty products, people also go for extra virgin olive oil. – Virgin olive oil: Virgin olive oil is not as superior as extra virgin olive oil; however it has a good quality, too. Virgin olive oil does not go through any refinement. However, the acidity content is not as low as in extra virgin olive oil (virgin olive oil: around 1 – 4 % acidity, extra virgin olive oil: from 0% to 0, 8% acidity). Due to this reason, the aromas and flavors of the virgin olive oil are not as attractive as extra virgin olive oil. – Pure olive oil: This is the most available type of olive oil in the market. You can find it in almost any supermarket or grocery store. It is from the second press of the olives. Therefore, pure olive oil has lower quality than extra virgin or virgin olive oil. Pure olive oil is also refined olive oil. You can use it for cooking. Yet for your salad or skincare purpose, it is not a good choice at all. – Olive pomace oil: After the good olive oil (suitable for cooking) has been taken, people will extract what calls the olive pomace oil. It has very low quality and should not be used for cooking or eating. It is cheap and usually, people buy it to clean things. The best olive oil for you is the olive oil that suits your needs. So identify why you want an amount of olive oil in the first place. If you are going to make some salad, then extra virgin olive oil would be the best choice for you. In case you hesitate due to its high price, then the virgin olive oil will also be a good choice with a more reasonable price. If you are going to cook with olive oil, then pure olive oil is enough for you. And when you are aiming at cleaning things around the house, olive pomace oil and just olive pomace oil is enough. There is no need to waste virgin olive oil on this. So, it is not the olive oil with the best quality that will satisfy you. Indeed, what will please you is the one that suits your purpose the most. If you pay attention, you will see that the famous brands always keep their olive oil in a dark glass. These colors will protect the olive oil from being oxidized. So look at the color of the bottle when you buy olive oil. If the bottle is in a bright color, stay away from it. Go for dark ones. At the same time, do not be lured by the color of the oil. It has nothing to do with the oil’s quality. Look at the type of the oil (as per section 1 above) to know the quality.